Previous postTropic Thunder: Who’s the Man? Thanks so much for this. I will purchase the video. I watched on television news some of the things that happened during the 1960s, and those images remain in my mind and heart. So much hard work and yet I sometimes wonder if the beneficiaries of it today have an appreciation. BG, I agree. It is so important to know our history and pass it on – continuously. If we don’t, who will? I look forward to your thoughts after you watch the movie. You know, I have seen so many different documentaries involving Dr. King and the civil rights movement, I can’t say if I remember seeing this one or not. I think I may have though because your reference to his last birthday rings a bell. It is always good to see the “behind the scenes” footage of a man like Dr. King because it really shows that even though he became a “larger than life” figure, at the end of the day, he was just as human as the next fellow. 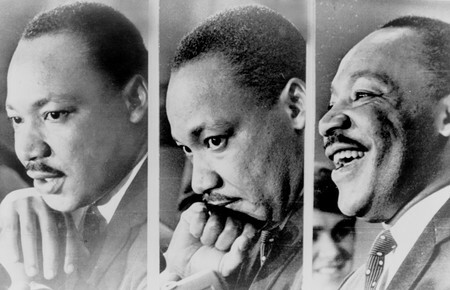 Yes, Dr. King’s humanity is what struck me the most. I think that’s an aspect of him that often gets lost when the focus is on his holiday or the upcoming national memorial. I prefer thinking of him as a man who had a family, experienced frustration, grew weary and at times told jokes. That makes what he was able to accomplish even more inspiring. Thanks for the beautifully written reminder of this not so long ago historical account. I too am struck by the courage and faith these men and women possessed. We must not forget how they sacrificed for the opportunities we enjoy but many of them never lived to experience. Telling the story, living the dream and teaching the children are how we really pay tribute to Dr. King.